Ensure compliance with automatic updates. 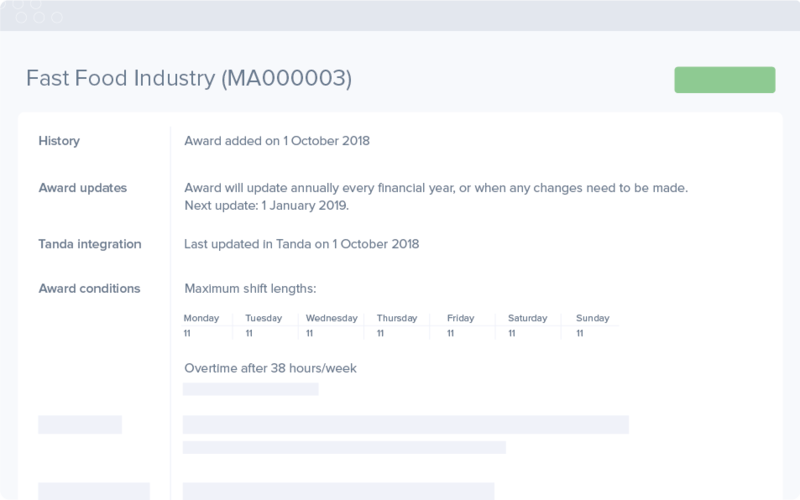 Tanda’s managed awards automatically update with every Fair Work change. Receive summaries of all changes so that you’re always up to date with the latest award rules. Get it up and running in seconds. 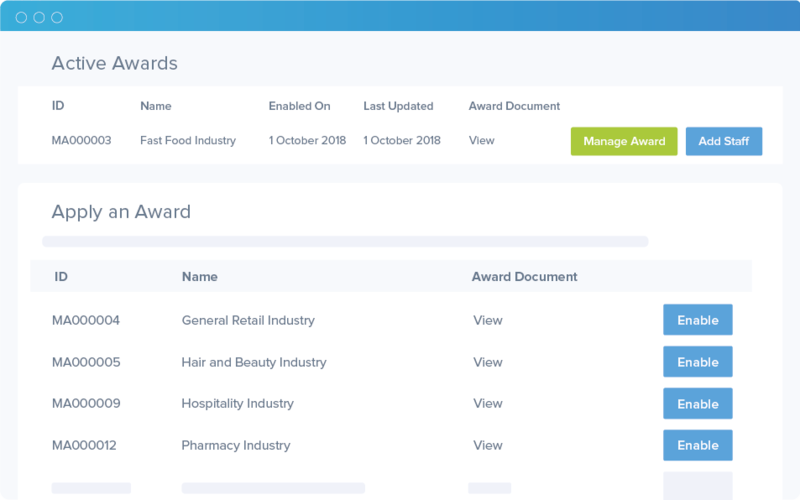 Select your award, and Tanda will automatically create and maintain the relevant pay items and base rates in your payroll system to ensure staff are always paid accurately. 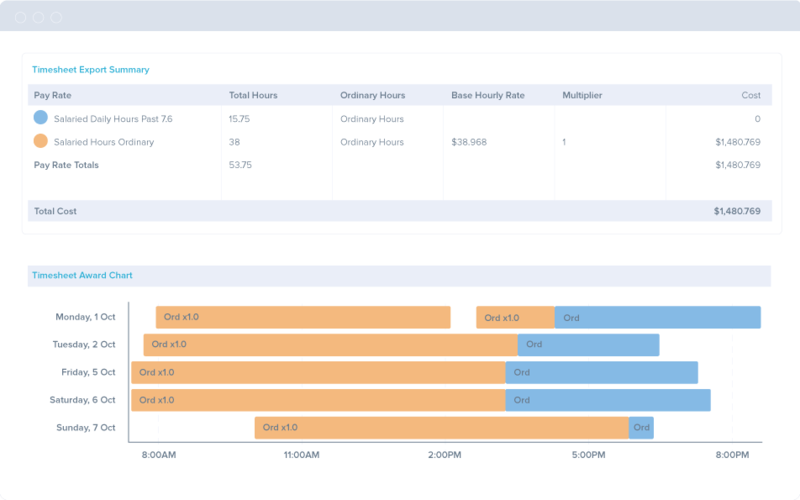 Understand where you’re spending money with detailed breakdowns of award rules, the rates that have been applied, and the conditions that triggered them for complete oversight into staff wages. 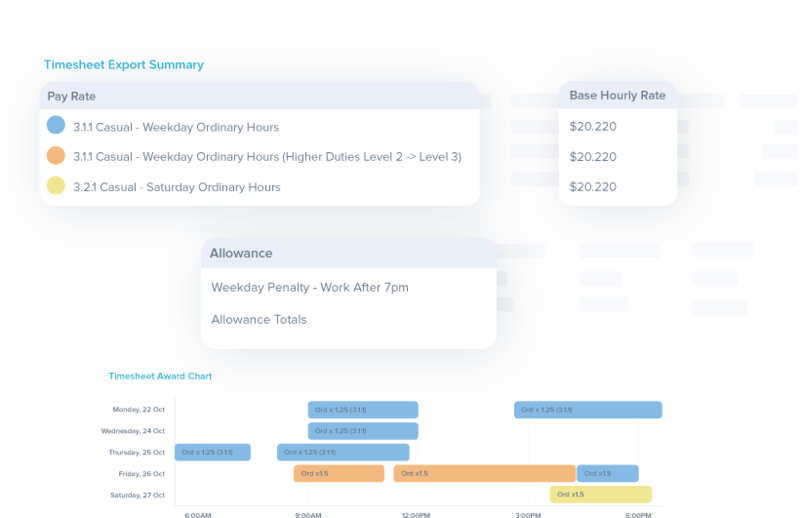 "The award rules for timesheet approval simplify the process even further, and a simple export direct into Xero saves hours."